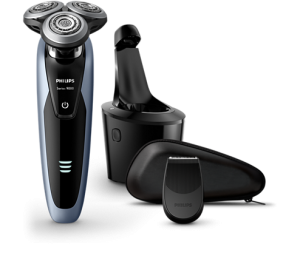 The Shaver 9000 series is described as the most advanced series ever developed by Philips to date! With Philips unique contour-detect technology it offers exceptional coverage over every contour of your face. The Philips V-Track blade system guides hairs into the cutting position for your closest and best results. Can be used wet or dry, in or out of the shower. With 50 minute cordless shaving from only one hour charge of its long-lasting lithium-ion battery!